As of June 2017, eBay’s Turbo Lister is no longer available for use. This is now the second listing tool of eBay’s that they have decided to discontinue. Like many other listing tools… Things change and even worse they are often discontinued, only forcing users to start over with a new software or list each item individually. (How time-consuming can that get?!) 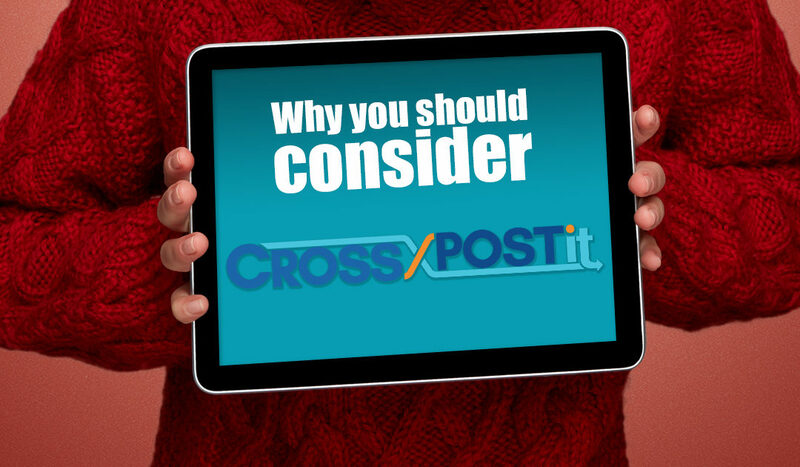 CrossPostIt (CPI) has existed since 2004. Yes, we will bring changes too, but only the good kind – to keep advancing you in the listing industry. Our software gives you updated looks and more listing channels to post to. Many thanks to our customers’ feedback in helping us build this product. Together we will continue to advance in this industry and you will never have to fear finding out we are no longer your go-to listing software. As always, we want you to explore all your options before making a decision that will impact your business. This article will list three reasons CPI can be your all-in-one product as a replacement for any third-party listing software you may be using. Bulk capabilities – Enter all your item information offline through our csv. template, regardless of where you want to list it, then upload them all at once. This information is then pulled into the each listing format as needed. Create professional looking listings – …using our templates, or if you choose to customize your listing templates simply send us your HTML and we will drop it in for you. List multiple items at the same time. Copy and duplicate existing listings and save listings to reuse them later. Edit or revise active listings on eBay through our program. 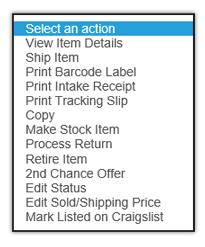 Relist or reschedule single- or multiple- eBay listings at one time. And finally, Reporting – Our reports will retain your buyers’ names, addresses, shipment tracking information, shipping profit or losses, sales expenses, eBay and PayPal fees, productivity, commission plans. unsold items, refund payments, and so much more. As a CPI customer, you will have access to all your data. If you want to copy a listing you created in the past, you have access to it. All your reports are exportable into Excel spreadsheets so you can manipulate them however you’d like. This is a feature is key! If you’re listing to multiple platforms, you won’t have to worry about selling items multiple times by mistake because you didn’t take it off the shelf before placing it online for sale. When your item sells on one channel it is removed from the others. If any item up for sale online is sold in store, you simply mark it sold and it will take it down from all your other channels. We have integrated with eBay, Gunbroker, Amazon, My Store, (your own online inventory sales page) and Craigslist. We provide you with an opportunity to sell every item on multiple channels. That’s FIVE times the exposure for each and every item in your shop. Turbo Lister was designed to help you list items to sell on eBay. 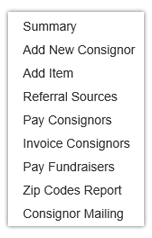 CPI is not just an eBay tool, it offers you more than just one channel to list online. It’s your online suite designed to help you grow your business. If your only listing on eBay think about how many things in your shop you could sell by advertising locally on Craigslist, What would that do for bringing new foot traffic into your shop? What would your revenue look like if you can offer a web page on your own website featuring your inventory for sale with shopping cart feature and no listing or success fees? We are also looking at a roadmap to include additional selling platforms in 2017, based on customer feedback we’ve received. After that, we will continue to support additional sites and webstores based. When you sign up for CPI, a Data Age Trainer will work one-on-one with you to get you set up and properly trained on the CPI platform. Our trainers have worked with hundreds of shops, so they can share ideas on what others are doing to be successful with online sales. What better time to get started than now, and by the time the holidays roll around, you’ll have a system in place for maximum exposure? Our livelihood is built upon providing our sellers with a faster, more accurate, better way of doing business. We aren’t providing an online platform on a whim. For thirteen years, we have had a stable software. Moving into the future, we are building a software with features and functionality based on our customer’s feedback. We know your business relies on eCommerce as a selling channel. It is our job to make sure we are providing the tools to make you successful in your competitive market.